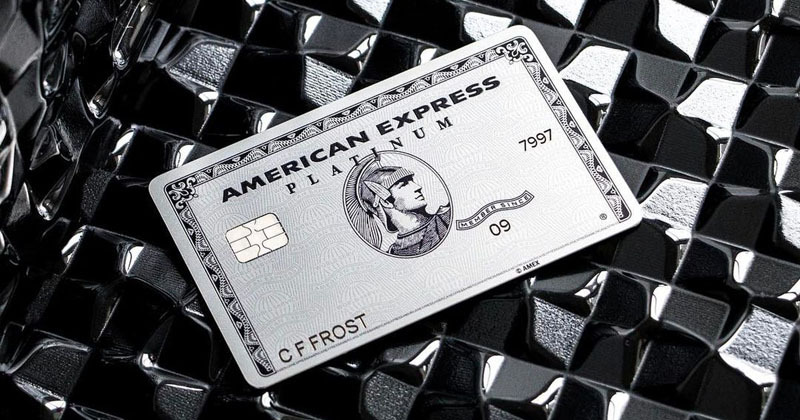 American Express has unveiled major changes to the points earn and redemption rates across its card range: the latest big move by a card issuer in Australia’s rapidly evolving credit card market. The most significant changes are to Amex’s own-brand cards, which earn the popular Membership Rewards points. In most cases, customers will have to make more purchases to enjoy the same redemptions as today. Fortunately other Amex perks are unaffected and, on the whole, Amex cards will continue to be very rewarding. Amex says this move is necessary so it can continue to invest in products, benefits, digital capabilities and the size of its merchant network in Australia, especially in light of new regulations that have forced merchant fees down across the industry. These fees partially fund reward schemes. The changes to Amex’s earn and redemption rates will come into effect on 15 April 2019, so card members have six months to prepare. Amex will begin notifying customers shortly. The changes to Qantas and Velocity consumer cards are quite simple: points earn rates will fall by 0.25 points per $1 spent for all purchases except with government. Here’s how each card is affected. The changes to Amex’s own-brand cards, which earn Membership Rewards points, are more complicated, because both the earn and redemptions rates will be adjusted. The easiest way to outline these changes is to look at each card separately. Note that we are yet to hear if there will be changes to David Jones credit cards. The popular Amex Explorer Credit Card currently earns 2 Membership Rewards points per $1 spent, except with government, where the earn rate is 0.5 points per $1. From 15 April 2019, the earn rate on general spend will remain the same, at 2 points per $1, but with government it will go up to 1 point per $1. The biggest shake-up is actually with the points burn rates. Right now, Amex’s flagship card has a tiered earn structure: for each $1 spent, you earn 3 points at restaurants (capped), 2 points on travel and foreign currency spend (capped), and 1 point everywhere else, except 0.5 with government, utilities and insurance. From 15 April 2019, the earn rate will be simpler and uncapped: 2.25 points per $1 spent everywhere except with government, where it will be 1 point per $1 spent. Here are the new burn rates. (this was devalued a few months ago). As you can see, cardholders will be more rewarded on everyday spend (which is uncapped), but that comes with the loss of lucrative bonus earn categories. This card also has a tiered earn structure: right now, for each $1 spent, you earn 3 points at supermarkets, 2 points at petrol stations, and 1 point everywhere else, except 0.5 points with government, utilities and insurance. From 15 April 2019, the earn rate per $1 spent will be 3 points at supermarkets and petrol stations, 2 points on foreign currency spend and 1 point everywhere else. This card will continue to be the most rewarding in Amex’s range for supermarket and petrol station spend. Amex’s no-annual-fee card currently earns 1 point per $1 spent everywhere except with government, utilities and insurance, where it’s 0.5 points per $1 spent. From 15 April 2019, the earn rate will be 1.25 points per $1 spent everywhere except with government, where it will be 1 point per $1 spent. I’ll only mention the two business cards I’ve written about in the past. From 15 April 2019, the Amex Business Explorer Card will have the same earn and burn rates as the consumer-oriented Explorer card above. There will be no changes to the Amex Qantas Business Rewards Card. The card payments landscape has changed substantially in the last two years, with increased regulation altering the economics for card providers, most of whom have responded by making major changes to their rewards programs. To ensure it’s able to compete effectively, Amex says it’s had to close the gap between the merchant fees it charges and those of its competitors. These fees partially fund rewards programs, so while greater merchant acceptance of Amex means card members have more opportunities to earn points, sadly those points will soon deliver fewer benefits. While this is disappointing, it’s important to keep in mind that Amex’s products continue to provide excellent value. Points earn rates will remain market leading, and there are so many other perks to enjoy with Amex cards, like lounge passes, travel credits, complimentary insurances and discount offers. You can read more about the changes to Amex cards on its site here. Doubling the required points for airline transfers is going to hurt a lot and will have to seriously reconsider(again!) that heavy yearly fee on the Platinum Charge.